Sequels rarely surpass the original material in both style and substance, particularly if that sequel is bred from the confines of DreamWorks Studios. My conception of DreamWorks is that they are the poor man’s Pixar. Although DreamWorks has created their share of impressive stories told through cinematically stark animation, their films simply don’t possess the same majestic pizzazz of cinematic pioneers Pixar. DreamWorks’ films lack a deep resonance and total quality to their stories. 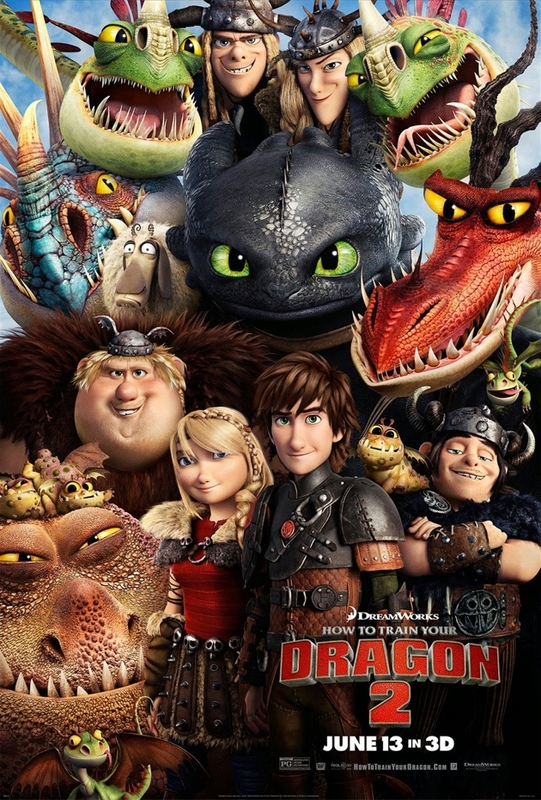 But, occasionally DreamWorks produces a glimmer of a gem in their repertoire and How to Train Your Dragon 2, the sequel to its 2010 hit, can proudly be added to it. Pixar’s Wall- E not only made my tear ducts nearly drown in saline pity, but it opened my eyes to a possible future for our planet if we continue existing as a throw-away society. Trough Up’s zany tale following an elderly man on a fantastic journey to a lost island, viewers are exposed to a colorful adventure that’s a reminder to hold onto precious moments in life. Pixar has always had a way of relating their quirky stories to general human themes which is why they become so universally loved and respected. DreamWorks on the other hand admirably roots for the little guy, yet usually their sub par storytelling restricts them from making films that are personally relatable to the various pockets of people who watch. 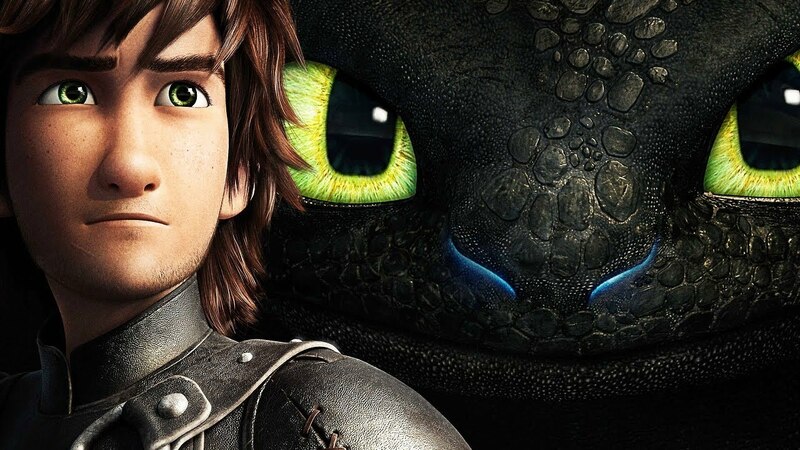 While it’s still on the heels of being as impressive as a Pixar film in its prime, How to Train Your Dragon 2 weaves an intriguing tale of a boy’s development into fulfilled self-actualization. Director and screenplay writer Dean DeBlois lets How to Train Your Dragon 2 dip into deeper political themes as it evolves its fight of good and evil into a struggle between pacifism and militarism. Now, because these themes are above a child’s head, and even some adults, the message of How to Train Your Dragon 2 may get lost. The film also possesses a darker, grittier tone that likens itself to “Game of Thrones.” Characters we become attached to are taken away and at times brutalities triumph thanks to the menacing lead villain. Nonetheless, How to Train Your Dragon 2 is still a bit clunky in its animation, though much more stylistic than the original film. And though I respect its intentions to include a feminist angle, the woman of the film still depends on help from a men to achieve success. Even still, within its shattering depiction of life and the brutalities within it, How to Train Your Dragon 2 still possesses a childlike humor filled with gross out moments and silly gags. How to Train Your Dragon 2 is for a slightly older crowd, but is still young at heart. SEE IT. If you enjoyed the first, this won’t disappoint. Another fan of Pixar! There are films that company that do not arrive or at the heels of many of Dreamworks. Example: Bugs Life, Cars 1 and 2, Brave, Monsters University were much lower than Antz, Shrek 1 and 2, How to train your dragon 1 and 2, Spirit, Prince of Egypt, Wallage and Gromit The Curse of the vegetables. And the few others like Megamind, Puss in Boots, Over The Hedge, The Croods, Monsters vs aliens, Flushed away, etc.. The problem with fans of particular company is quality not seen in other productions, as happens with fans of any particular team sport, for them yours is better than any other but it is not. I agree with that Dreamworks, like all manufacturing has made many bad movies, but Pixar amaa has also made ​​their clunkers. I really like many Pixar movies, some are sublime, ejm Ratatouille, Wall E, Up, Toy Story 3, Nemo, The Incredibles, Monsters inc; others do not, such as those already mentioned. I think How to Train Your Dragon 1 and 2, Sherk 1 and 2 are on par with the best of Pixar. I am a fan of quality animated films, no matter who produces them. I definitely agree with you, I too am a fan of quality despite company. And yes Pixar has made more than enough of their share of failures in my opinion (I hated Brave and Cars and can do without a few others) just like DreamWorks have made some impressive gems. It’s easy to compare the two because they’re the two most prominent animation companies in America, but for me I find the stories that Pixar chooses to tell to be more relatable and when talking about animation style Pixar is honestly just better. Their imagery is more stylistic, anthropomorphic and cleaner. There’s just more detail in the images of Pixar which is the defining aspect that makes them superior. That being said I love DreamWorks and have enjoyed a fair share of their films over the years (not a Shrek fan at all though). But, I can’t pretend their visual style and stories are anything above decent, though I’m hoping as the years continue they improve enough to knock Pixar off their pedestal.